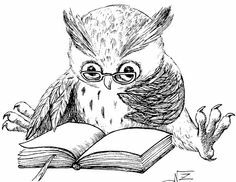 MY LIBRARY OF THOUGHTS: The Wise Old Owl !! The Wise Old Owl !! Y can't we all be like that bird?